A female officer has completed the Army's rigorous selection process for its storied 75th Ranger Regiment and is on her way to joining a unit in the next few months, according to a spokesman for Army Special Operations Command. 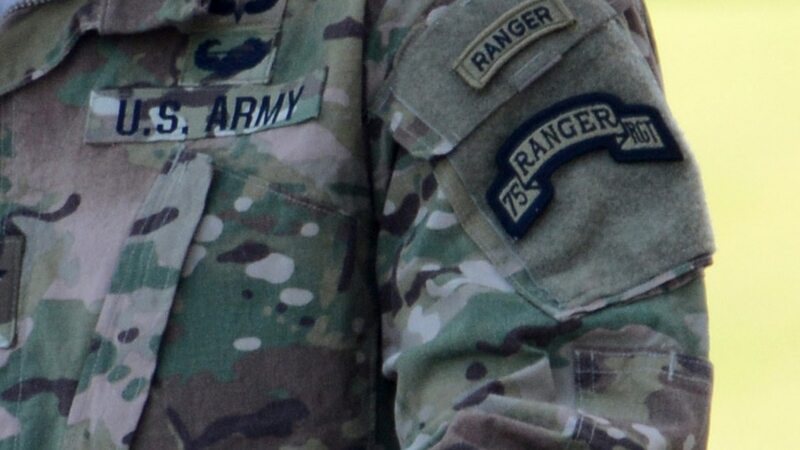 The soon-to-be first female Ranger passed the 75th Ranger Regiment's Ranger Assessment and Selection Program II program in December, said Lt. Col. Robert Bockholt. This makes the 75th Ranger Regiment the first special operations unit to have a female soldier graduate its selection course, as first reported by Task and Purpose. Air Force Special Operations Command, Marine Corps Special Operations Command and Naval Special Warfare Command -- home of the SEALs -- have not yet gotten a woman through their pipelines. The Army is withholding all other identifying information to protect her safety, Bockholt said. "The identity, career fields and backgrounds of our Rangers are not provided in accordance with our current security policy," he said. Officials are concerned that the public may be able to trace back details like rank, operational background and commissioning source in order to expose special operators in general. "It's not based solely on them being a female," Bockholt said. "We protect all of our special operations forces." Becoming a Ranger is different than completing Ranger School, which has seen three female officers graduate. That distinction allows the women to wear the Ranger tab on their uniforms, but they initially returned to jobs in the conventional Army, as do the vast majority of soldiers who complete the course. The first female Ranger passed the three-week long selection course designed for staff sergeants and above, as well as officers. She will wear the legendary Ranger scroll and the distinctive tan beret and when she reports to the regiment. A score of 240 on the Army Physical Fitness Test, with 6 chin-ups completed. A five-mile run in 40 minutes or less. A 12-mile ruck march in three hours or less with a 35-pound pack. Completion of the Ranger Swim Ability Evaluation. She is the first woman to complete RASP but not the first to try it. A female noncommissioned officer made an attempt last June but ultimately washed out. The officer is not due to report to her new unit until this spring, Bockholt said, as she out-processes from her old unit and secures orders and travel arrangements to the new one.